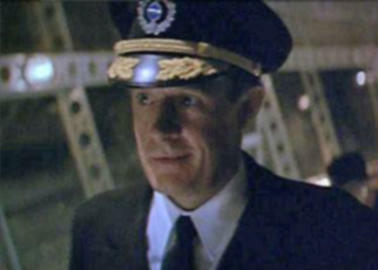 Norbert makes just a very brief appearance as a Zeppelin pilot towards the end of this 1991 Walt Disney movie that is straight from the pulp fiction genre. 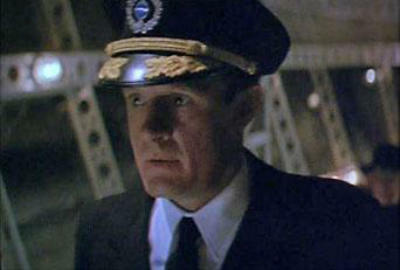 He ends up by being pushed out a window as he is piloting the Zeppelin, and falls to his death. This is one of those movies where you can't blink or you will miss Norbert's brief appearance. The movie features 1930's style gangsters, Nazi's, FBI agents and spies. 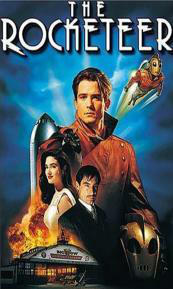 A young pilot by the name of Cliff Secord stumbles upon a top- secret rocket-pack, and with the help of his mechanic/mentor, Peevee, he attempts to save his girl from the gangsters that have kidnapped her, and manages to stop the Nazi soldiers that have infiltrated America along the way -- all the while posing as The Rocketeer. 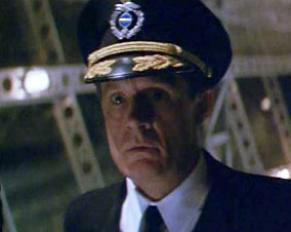 Bill Campbell stars as Cliff Secord, the Rocketeer, with Alan Arkin as his friend Peevee. The movie also features Timothy Dalton and Paul Sorvino.